Nintendo's console for 2017 is almost around the corner for those gamers who had been a loya fans of the Nintendo company and their games since its inception over 15 years ago. 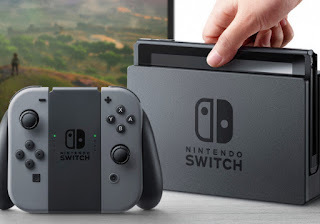 From the preview of the upcoming Nintendo console, we realised that the game is a total revolution and amazingly something unique and difference from its rivals, the Sony Play Station and XBOX. Nintendo kept 2 things in place, mobility, so users can take it anywhere, they also maintained bulkiness for heavy users who would enjoy it on big screen. Quickly flashing back in April, Nintendo confirmed that its NX console would hit the stores in March 2017. Now, we are sure to get our first look into the “next home gaming system” in a three-minute preview trailer, we also finally know its name: the Nintendo Switch. As rumored, the Switch is a console/hand-held hybrid which will connect with a TV, be contend to be used on the move, and uses cartridges (Nintendo is not dropping usage of cartridges yet). There are things to bear in mind about the Nintendo Switch's accessories. You'll be able to see in the video, the 2 controllers (Nintendo is calling them Joy-Con) will attach to the central unit (Joy-Con Grip) to act sort of a single controller. they will additionally slide onto the side of the standalone screen unit, making it similar to the Wii U. In addition, the Joy-Cons will be used for multiplayer gaming on the move, and there will be a a lot of traditional "Pro Controller" choice available.